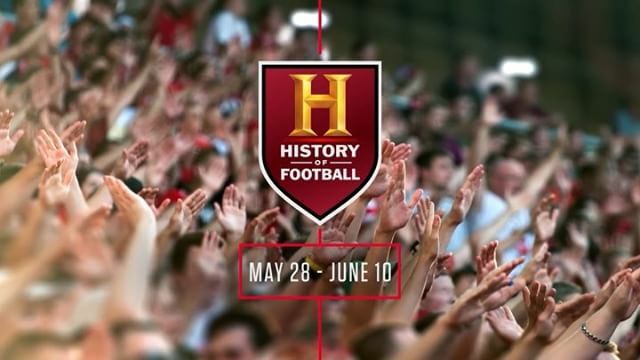 Hollywood, Calif., June 8, 2018 – Premier marketing agency Troika Media Group (OTC: MTWO) produced the global marketing campaign for A+E Networks® International’s HISTORY®’s HISTORY OF FOOTBALL, a 24/7, 2-week network takeover, that will be broadcast outside the U.S. in over 160 territories. This is among the largest event and global marketing endeavor in the history of A+E Networks International. The omnichannel campaign incorporated print, digital, and traditional media and included over 20 spots with a creative toolkit for global customization and extensions. In a lead-up to the World Cup, the campaign will run throughout May and during the 2-week run of the HISTORY OF FOOTBALL which airs from 28 May through 10 June. Working closely with the A+E Networks’ International Marketing team, Troika developed and produced the project in-house from concept through execution, including writing, design, animation, editorial and finishing. Informing Troika’s work was their deep undertsanding of fans and fandom, which the agnecy has developed though well regrated custom research. Examples of other global media campaigns designed by Troika include EA’s FIFA’18, which was launched in over 180 countries; UFC’s rebranding for global broadcasting, preceding WME-IMG’s acquisition of the brand for $4 billion; HBO Sports rebranding, adding the network’s signature cinematic flair to sports editorial content for world-wide broadcast and digital distribution, amongst several others. Troika Media Group is a brand experience company that provides integrated branding and advertising solutions. Applying emerging technology, data science and world-class creative, we help brands deepen engagement with audiences and fans throughout the customer journey. Clients include Oath, AT&T, ABC, ESPN, Apple, CBS, Comcast, CNN, HBO Spots, Hulu, IMAX, Netflix, Riot Games, Sony Pictures Television, Turner and UFC. For more information, visit troika.tv and troikamedia.com. A+E Networks International® operates 80 channel feeds in approximately 200+ territories in 41 languages around the world that reaches more than 410+ million households through joint ventures and wholly owned subsidiaries. The international brand portfolio includes: A&E®, HISTORY®, LIFETIME®, H2®, CRIME + INVESTIGATIONTM, FYITM, and BLAZETM,. A+E Network®’s international business is also driven by global content distribution and representation, digital content creation and distribution, original productions, format production & sales, co-production initiatives, acquisitions, and strategic investment opportunities.